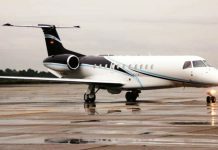 In order to sustain safety at the nation’s airports, the Federal Airports Authority of Nigeria (FAAN) has urged organisations, particularly those doing business or using the airport facilities to always obey traffic rules and regulations. 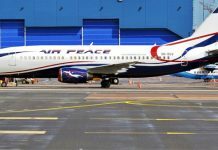 Managing Director of FAAN, Engr Saleh Dunoma, who stated this in a statement through the authority’s Head, Corporate Affairs, Mrs Henrietta Yakubu, Monday explained that the Federal Government had reiterated its directive that all travelers, including the VIPs abide by the rules that guide airport operations and services. Dunoma said that government had observed a growing incidence of flagrant violation of traffic regulations by VIPs and top government officials at the nation’s airports. The government also noted that the indiscriminate parking of vehicles by the aforementioned persons at the front of the terminal buildings, had consequently precipitated long queues and congestions. “The incidents have deteriorated to the extent that personal aides of some of these highly placed persons and top government officials manhandle aviation security officials. “This is contrary to air transport operations regulations, as spelt out in Annexes 9 and 17 of the International Civil Aviation Organisation (ICAO) convention. “The officials are to ensure safety and the protection of the terminal building, passengers and the general public”, he said. Dunoma in the statement, also enjoined airport users to comply with civil aviation measures and procedures put in place by the airports authority to ensure safety at all the airports.